Minecraft. Apparently, it is a gaming craze that is devouring children by the minute. I hear about it often, from friends talking about their kids' obsession to seeing a gazillion Pinterest pins for Minecraft birthday parties, t-shirts, and crafts. "Minecraft is a game about breaking and placing blocks. First, people built structures to protect against nocturnal monsters, but as the game grew players worked together to create wonderful, imaginative things. It can also be about adventuring with friends or watching the sun rise over a blocky ocean. It's pretty... you can also visit a land of mushrooms if it sounds like your cup of tea." ...and if you are anything like me, you still have no idea. What is Minecraft?! Over 18 million people have purchased the PC/Mac version of Minecraft so surely I am missing out on something amazing. The game is also fully mobile so it's reach is now astounding. The smart folks who developed the Minecraft web page apparently heard my plea before I ever asked it. The site navigation includes a "Game" section and lo and behold, they address the big question right there. Er... sort of. 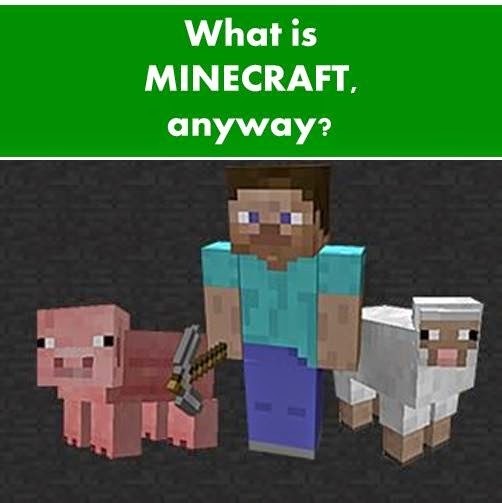 See for yourself by clicking over to "what is Minecraft" on Minecraft.net. I received party supplies and other free products to host a #DisneySide @Home Celebration from Disney Parks and MomSelect. All opinions are 100% my own. Our little one is almost... one! 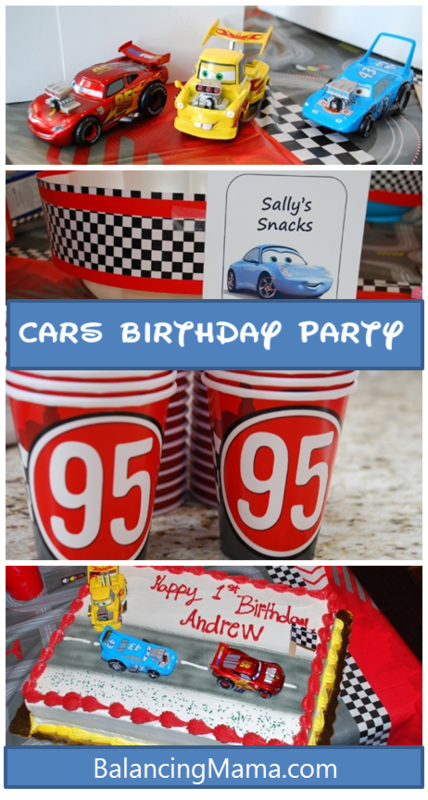 He had quite the celebration over the weekend with 40-some guests in our home, Disney Pixar's Cars décor galore, cake, and twelve hot, gooey pizzas from a delicious local shop. One secret to making your themed party really "pop" is to concentrate all décor in one main area. The teams at Disney Parks and MomSelect generously sent a 20-pound box of #DisneySide Home Celebration goodies which arrived just in time to incorporate into our personal festivities for the little guy. I originally had plans to place decoration in the foyer, basement, and kitchen. I am so glad that I opted, instead, to focus everything in the kitchen area which is really the heart of any home party. It was really quite the Cars extravaganza! Also in the complimentary supplies were the Lightning McQueen cupcake stand and cute little snack buckets. Since I was getting a large sheet cake, I did not have cupcakes to place on the stand. Instead, I filled the treat buckets with candy that served as a little take-home treat for the kiddos. My daughter began a new accelerated learning program at school this week. She will complete her first grade year with a new teacher, different classroom, and totally unknown schedule on Mondays. She was accepted for this "gifted" program via a letter and some parental forms in the mail a few weeks ago. We were given no information about what to expect, just a school supply list and a date. My first instinct was to email the teachers with twenty-five questions about where she will go, what she will do, the other students she will be with, what she will miss in her other class, how she will make up the work, what time she will eat lunch... you get the idea. I wanted to prepare her for absolutely everything. See, my daughter is exceptionally bright, yet somewhat introverted with a reluctance towards change. It took her several weeks to become comfortable with the new group of classmates in the transition to first grade, and now the school was pulling her out and into a new situation all over again. She was nervous the night before and asked me many questions, most of which I could not answer at all. I couldn't answer them because I decided a week prior that I would not ask the questions. I had an email barrage of questions halfway drafted when I thought, maybe there is a reason they didn't give us a detailed synopsis of the days to come? Perhaps, going into a situation blind is a valuable lesson that can be learned? Play. We all know how important it is for children. It develops creativity, helps them to burn off energy, builds the mind, makes them happy. Play is also beneficial for adults! Of course we have jobs and bills and kids and homes and what feels like never-ending tasks that take precedence over play. But once in a while, it pays to just let go of all the to-dos and have some fun. Several studies in the academic world have shown that play strengthens the brain, makes people more creative, and creates joy. It can also help to prevent Alzheimer's disease, some say. 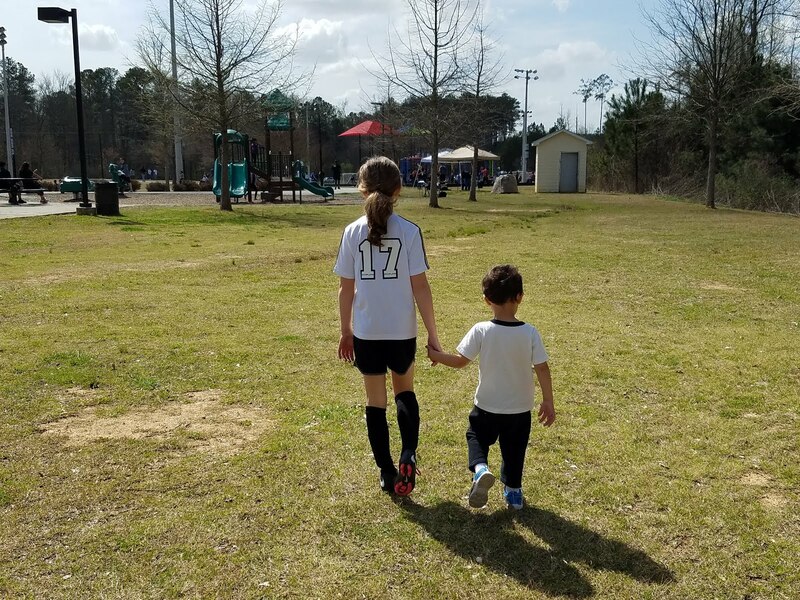 When you play with your kids and really let go of all the surrounding pressures and tasks, something memorable is bound to happen. We gave the baby hugs and kisses and left him with our favorite babysitter on Saturday so we could take our big girl to Stone Mountain Park for fun in the (manmade) snow. Stone Mountain transforms into Snow Mountain every year with a Snow Zone field for sliding, digging, and rolling around in the frozen precipitation that we do not often get to experience here. The SnoDeck snack shop sells hot chocolate, popcorn, pretzels, and s'mores kits to roast in a nearby area. A gooey, warm s'more pairs perfectly with frolicking in the snow! Snow Mountain also produces squeals of excitement as families zoom down the 400-foot tube runs, either together in the Avalanche Alley family tubes (36" tall or more) or individually in the red Tube Runners (42" tall or more). I have been at home with the baby for almost every day of the past 11 1/2 months. I have been struggling to keep up with life in general and I was going a bit stir crazy. With the kids sick over the Christmas break, even that "vacation" that I had so looked forward to, was just exhausting. Books, books, books. My first grader is obsessed with reading books! No complaints, here. As a mom and fan of reading myself, I love to encourage her thirst for written entertainment and knowledge. 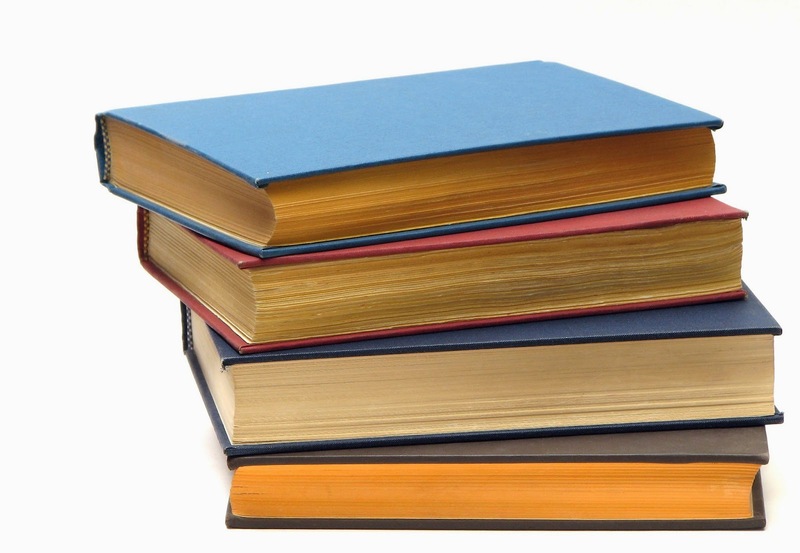 She enjoys books of all kinds from picture books, to fantasy fiction and non-fiction biographies or science topics. One of the newest books we have come across is Kayla The Great and The Magic Red Dress. 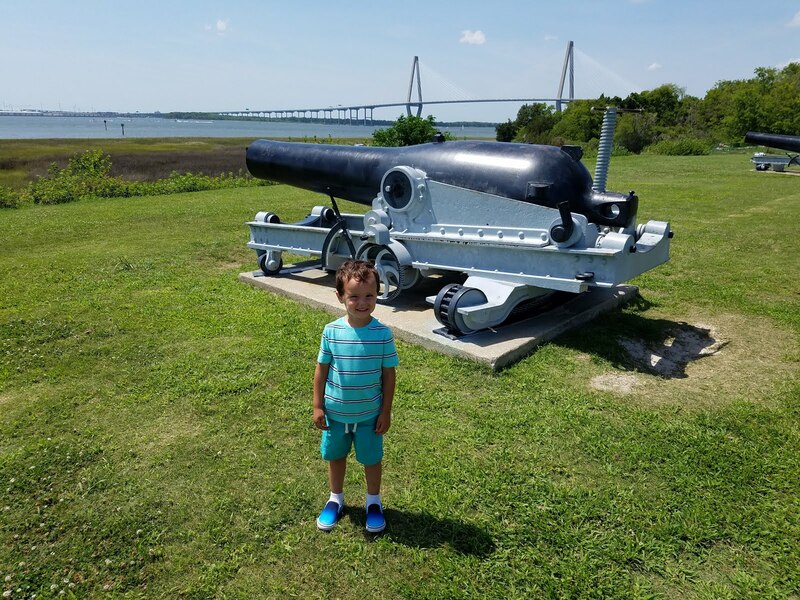 Six-year old Kayla The Great is an energetic biracial girl who lives with her family in Atlanta, GA.(Amelia loves that we share the same home city!). Kayla wears bright, colorful outfits and her favorite dress, a red one, is the subject of the first book in the new Kayla The Great series. Her favorite dress? It goes missing! And Kayla must embark on an important mission to locate it. The author, Atlanta-based Stephanie Davis, created this bi-racial little heroine because she saw a need in the children's book industry. Did you know that less than 4% of books feature Latino children? And less than 2% feature an African-American child? A recent study from University of Wisconsin reported those facts. And the presence of multicultural content in children's books has not increased in the past 18 years! Take one look at my blue-eyed, light brown-haired girl and you will see she is not of minority ethnicity, but it is just as important for white children to enjoy stories about all races and cultures. How else will we continue to evolve in our acceptance and love for others? Amelia does not see differences at age six and I hope she grows up just as color blind through all of her years. Kayla The Great and The Magic Red Dress is an ideal story book for ages 5-8 of any race or ethnicity. The character is a fun-loving heroine and it is enjoyable to "follow" her on her mission to locate her favorite item of clothing. And if you read and love this book? Stay tuned, because the next in the series is coming out soon! Kayla The Great Goes To Washington will be available February/March 2015. Follow Smart Sweet Kayla on Facebook for all the latest info. Share the love of girl power and diversity! You can win two copies of Kayla The Great and The Magic Red Dress - just enter via the simple Rafflecopter form below. I love digging into analytics to find stories for my advertising clients. Occasionally, I find time to do the same for BalancingMama. It helps me to better understand what you love to read. And... it looks like Disney décor and Elf on The Shelf are your favorites! Also, a popular preschool craft and my heartfelt letter to my girl. It is so nice to see some of my own personal favorites appearing on this list. Some of my favorite Elf ideas compiled from Pinterest, all easy enough for busy moms and rated G for all ages. Who has time for the elaborate poses with this guy? Andrew's bedroom, complete with the best Mickey head crib sheets ever, and some great wall décor with a decal and paint. Plus DIY wall art! Amelia's room, blue with a Disney Cinderella decal and "A dream is a wish your heart makes..." over the bed. Plus gorgeous Etsy photography that's not too childish. I love that my personal post has received so much attention. I hope this heartfelt letter makes it to Amelia's eyes in upcoming decades. Empty Toilet Paper Rolls: Art Time! Apparently, we all want to know what to do with empty toilet paper rolls. Learn how your preschooler can create their family with some simple supplies. Winter is the best time to catch up on reading! I just completed over 1,000 pages of reading. A couple months ago, I downloaded The Complete Gillian Flynn on my Nook reading app. I had heard a lot about Gone Girl, and figured I would take a chance on reading all three of her books. The complete collection includes Gone Girl, Dark Places, and Sharp Objects. Gone Girl (2012) is the most well known, I believe, as it was made into a major motion picture in 2014 starring Ben Affleck, Rosamund Pike, and Neil Patrick Harris. Gone Girl tells the story of a wife's disappearance, a husband's infidelities, and the complex issues and personalities that usually stay behind closed doors. I felt like the book began somewhat slowly and I was unsure that I was going to like it. However, I distinctly remember a point in the story that hit me, hard - and I did not want to put it down from that point forward. The twists and turns and intriguing writing made this a quick and engrossing read. Dark Places (2009) follows a mess of a 32-year-old, her life thrown into disarray at a young age because her family was murdered. Down and out and desperate for money, she begins meeting up with a "kill club", people who fancy themselves amateur detectives who meet and discuss famous murder cases. Reluctantly, she begins to see things differently and embarks on a mission to discover the truth. Dark Places was good, but my least favorite of the three. I felt like it was slow in places, although the storytelling did leave me guessing throughout. I was not as glued to the pages as with the other novels, but like the main character, Libby, I wanted to know what really happened. I received two jewelry sets from Luxury Jewellery, a European jeweler, for a review. All opinions are 100% mine. 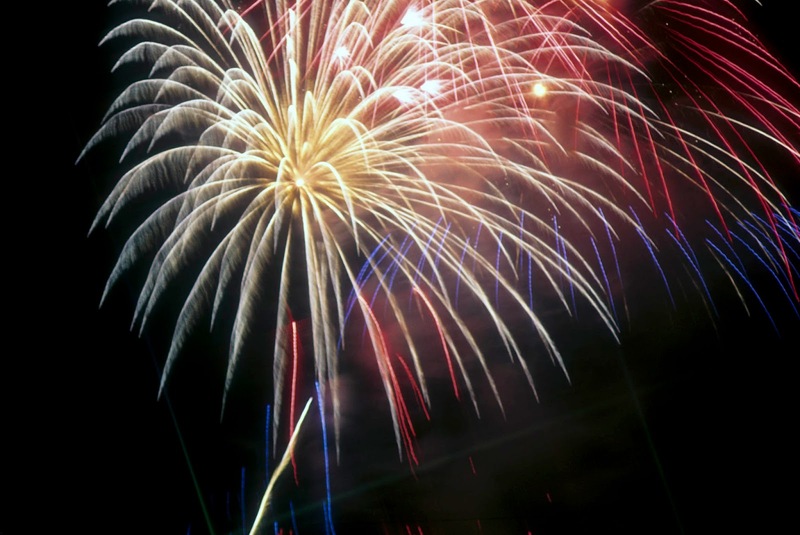 2014 ended with the dropping of balls, fireworks, and music. How was the year for you? I have friends who had the time of their lives and others who are gladly pushing the year out the door. For me, 2014 was a big change. It began with the birth of our baby boy nearly six years after our daughter. I also took the leap to working entirely from home. No more fighting traffic for 90 minutes to be in an office for a few hours, just to leave again to make it to school carpool line on time. Both of these major changes have obliterated my wardrobe. My body is a weird shape now and it seems it is here to stay. I am beginning to accept that nothing I own will ever fit well again. Also, because I do not work in an office, I have slipped into the comfort zone. I do not own business pants that fit my new smooshy waistline. I do not have a flattering dress. My feet revolt at the thought of heels. I resolve to try to dress things up more often. Looking less frumpy will make me feel better about myself and the unknowns of where my new life will lead. While I seek out new clothes, piece by piece, I am learning to accept the fit of my existing pieces and dressing them up as I can by accessorizing. I purchased a few inexpensive long necklaces at a department store which can dress up a sweater or plain long-sleeved shirt instantly. I was happy to accept a review opportunity with Luxury Jewellery because the timing could not be better! I received the Crystal Tri Set and the Live, Love, Dance, Sing Bracelet Set.